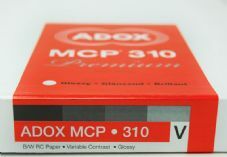 ADOX MCP is the replacement for Agfa Multi Contrast Premium, Resin Coated, black and white paper. 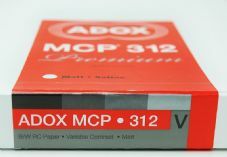 This was the best selling general purpose paper from Agfa and following the liquidation, Adox purchased the machinery from the liquidator in order to continue production. Initial test packs sent to photographers all over the world would suggest Adox have recaptured the delights of the original Agfa paper.